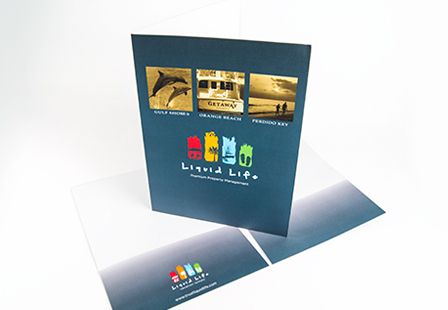 Make an impact with our 100LB Gloss cover presentation folders. Custom folders are excellent for building brand recognition, making an impressive first impression, featuring your products and services, and ultimately marketing your company. The glossy cover gives these custom pocket folders an ultra shiny look, unlike any other folder. They are perfect as for leave-behinds at meetings or handing out at your next trade show. They can hold all your necessary papers and documents and other marketing materials including business cards, sell sheets, brochures, flyers, CDs and more. Choose from a large selection of sizes and options including a CD or business card slits. The CD slits on the folders are 4.65". What is Print Resolution & Why Does it Matter? Please Select 6" x 9" 9" x 12"